Former Junior Speedcar & Speedcar racer from the 60’s and 70’s Noel Stanaway has sadly passed away. From all Members of The Vintage Speedcar Assn Qld we pass on our Sincere Condolances to Alf, Ken and all the Stanaway family. The funeral for Noel will be held on Monday the 13th November. Joan Thompson was laid to rest today, Friday the 27th October. Joan was the wife of Vsaq foundation member and past Club President Grahame Thompson. We pass on our Sincere Condolances to the Thompson family from all members of the Vintage Speedcar Assn Qld. Keith Blicharski has sadly passed away. 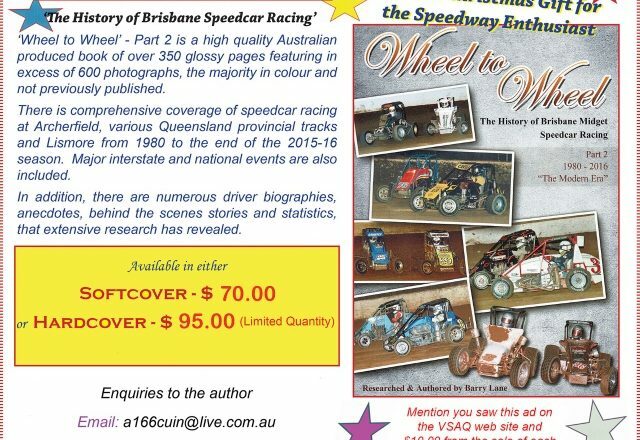 From all members of the Vintage Speedcar Assn Qld we pass on our sincere condolances to the Blicharski family. We will post funeral notices once advised. 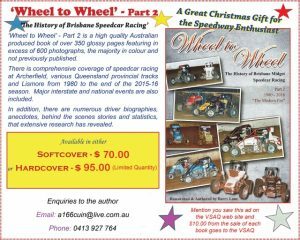 We are sad to report, Allan Belcher, Life member of the Vintage Speedcar Assn Qld has passed away. Monday the 21st August at 3pm. Albany Creek Memorial Park. Albany Creek Road Albany Creek.